Chef John and I went out for a day of photos. 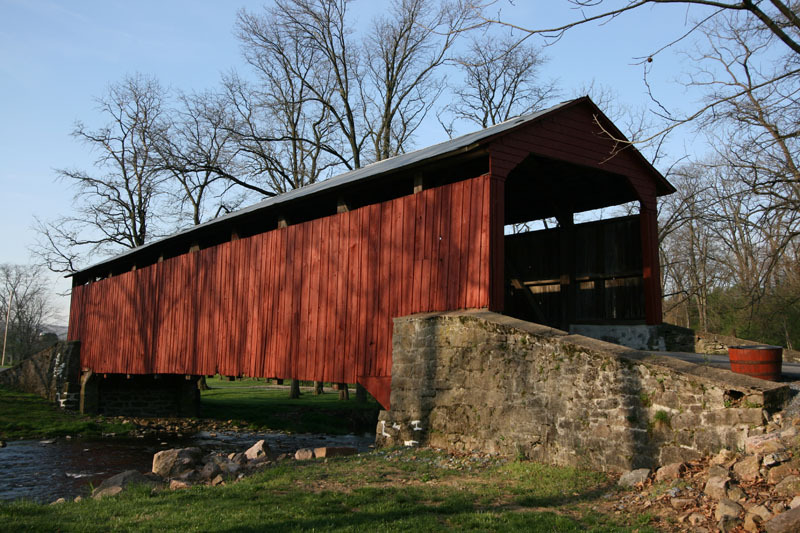 Our first stop was the magnificent red covered bridge. You can still drive through it although it has been restored as part of a park and is not longer connected to the main road. 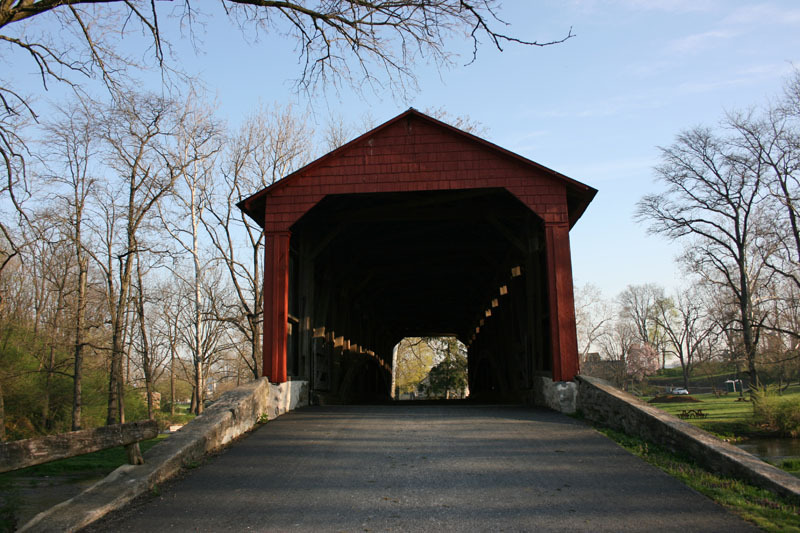 The bridge makes a wonderful noise when you walk or drive through it. 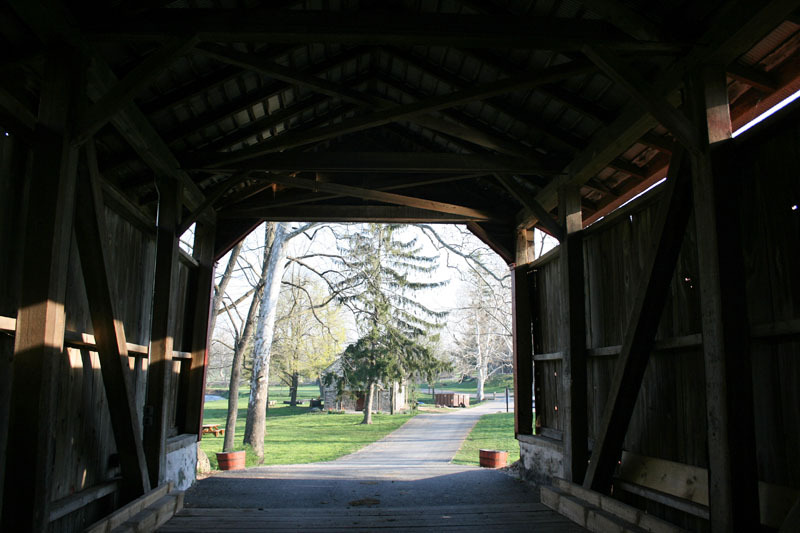 This bridge leads to a restored farm and park on the other side. this is my favorite shot of the day. I love the way the shadows from the trees play on the side of the barn and almost look like they are the bottom part of the trees above the barn. You see that effect don’t you. It isn’t just in my imagination is it? 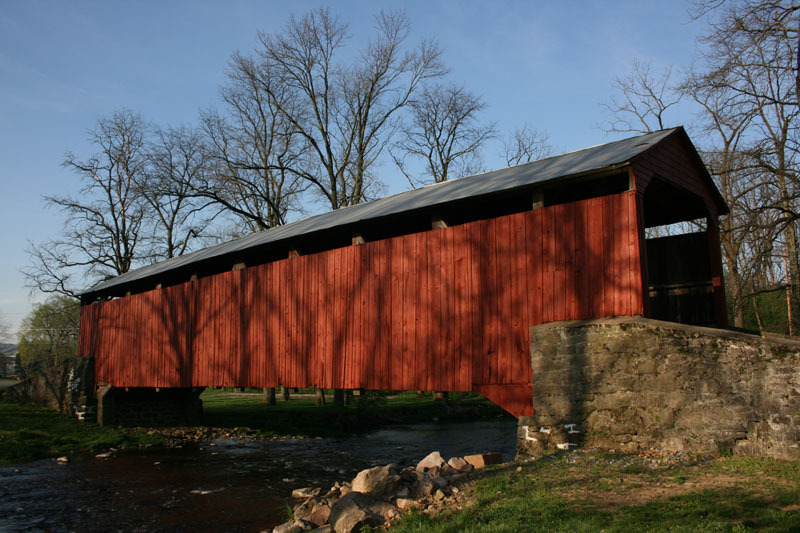 There are about 20 covered bridges in Lancaster county. There is also a bike trip that takes you to most of them. Yeah – I’ll be riding in my car.